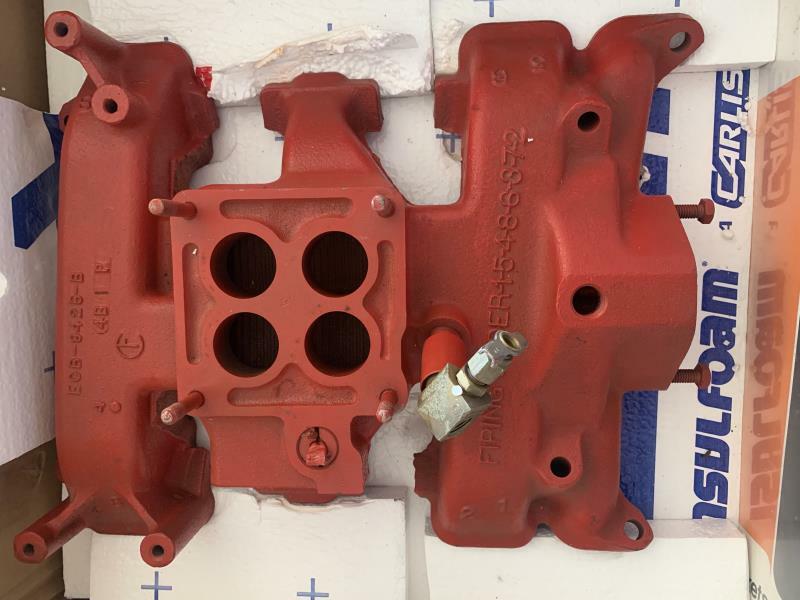 Looking to sell this ECB 9425 B four barrel intake manifold. I bought it on Ebay for 129.99, thinking I got a great deal on a ECZ 9425 B. I finally found the ECZ and am looking to sell my other. Let me know if you are interested. This intake will use the teapot style carb. I have also heard there is an adapter you can get for this one to mount a new style carb on it, but I am not positive about that since it is secondhand information.